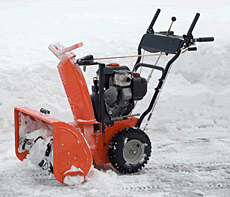 Snow Throwers have a number of product features and moving parts that's why snow thrower maintenance is crucial to perform on a regular basis. Gas powered engines are especially vulnerable if not started since the previous winter months. Paddles, skid shoes, and cables all need attention after repeated usage from the previous season.